Jesus in Love Blog: Blasphemy charges filed for Greek gay Jesus play "Corpus Christi"
Blasphemy charges filed for Greek gay Jesus play "Corpus Christi"
Blasphemy charges were filed against the actors, producer and director of the gay Jesus play “Corpus Christi” in Greece this month after violent protests forced cancellation of the show. Greek Orthodox priests and members of the ultra-nationalist Golden Dawn party protested outside the Hytirio theater in downtown Athens almost daily for weeks, according to news reports by Reuters and others. Protestors blocked the theater entrance and clashed with police, forcing the premiere of “Corpus Christi” to be cancelled twice before the whole production was shut down. Corpus Christi has been causing controversy since 1998, when bomb threats from religious conservatives almost prevented its Off-Broadway opening. 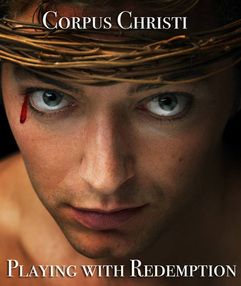 Written by American playwright Terrence McNally, the updated Passion play retells the gospel with Jesus as a gay man in 1950s Corpus Christi, Texas. “Corpus Christi” continues to be produced around the world, including an international revival tour by 108 Productions that has continued to sell-out audience since 2006. Controversy over the play is explored on film in “Corpus Christi: Playing with Redemption,” a new documentary from 108 Productions (trailer below). 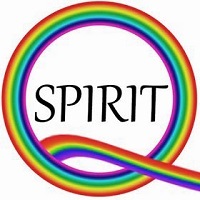 The film follows the troupe, playwright and audiences across the United States and around the world on a five-year journey as protestors and supporters clash over a central issue facing the LGBT community: religion-based bias. The emphasis on controversy in the gay Jesus play is certainly disproportionate. My mother, who was devoutly religious, couldn't have cared less that Jesus had been portrayed as gay when the play opened in the 90s. She had certainly evolved because of my coming out. However, she was one of the few Christian people in our small town who was for gay marriage as far back as 1993. Anonymous, you and your mother helped change the world for the better. I believe that the Greek controversy is also changing hearts and minds to see Christ's true message of love for all, regardless of sexual orientation.